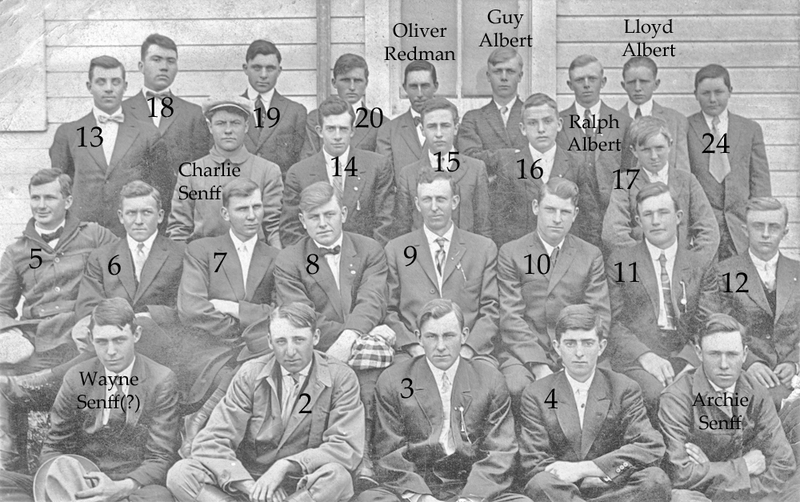 In this photo from about 1915, some Senff boys, Albert boys, and Ollie Redman can be found. Wayne and Charlie were sons of Phillip Senff; Archie was a son of Jacob; and the Alberts were sons of Wes Albert, and Ollie was the son of Lewis Redman, all from southeast part of German township. 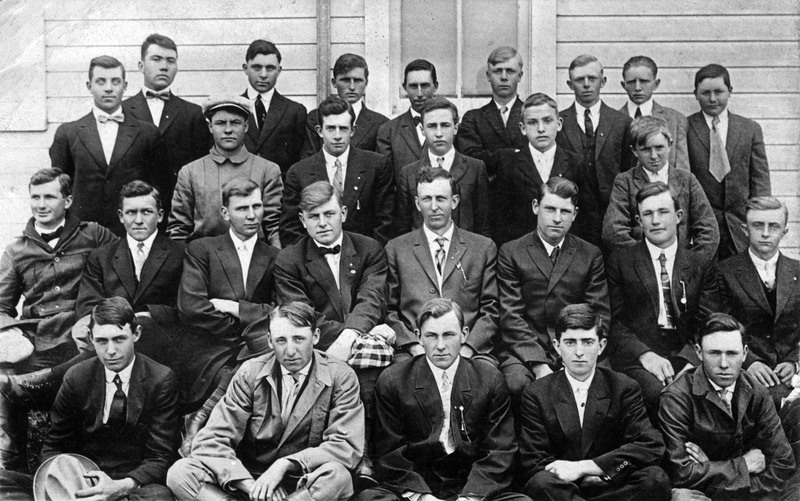 Can you identify any of the other boys and young men in this photo? Do you know what organization it is? Let us know in the comments below!